Advanced ergonomics. Quiter in use, and silent between cuts. No fumes or emissions. High capacity cells. No-fade power maintains performance throughout the job. Ready to go when you are. Starts immediately without the hassles of fuels or cords. 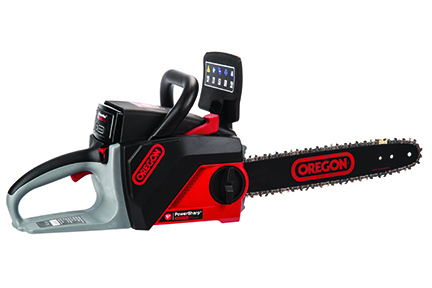 OREGON® Cordless Battery Packs are compatible with all OREGON Cordless Tool System products.